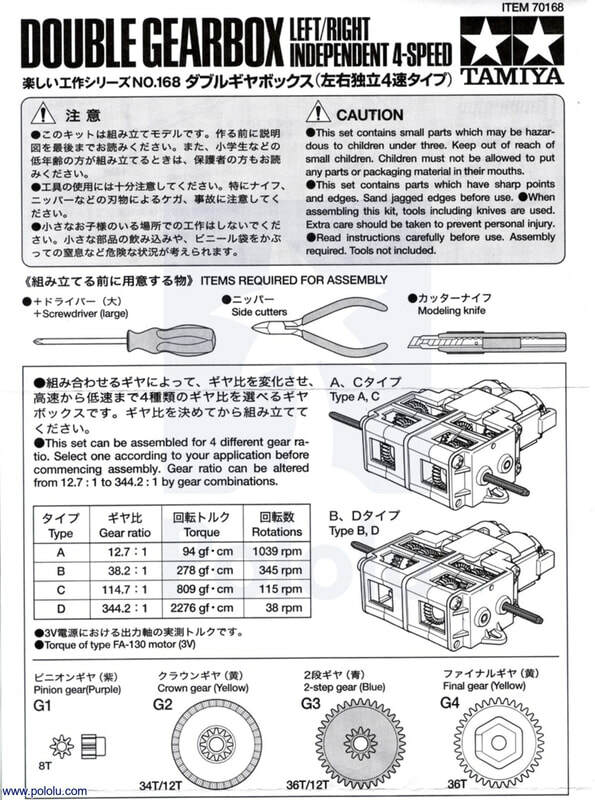 There are no spare parts for the robot kits so extreme care must be taken to ensure pieces are not lost. Students are responsible for keeping their projects safe at all times, both in and out of class. I will not be providing a storage space for these as the parts are so small. Power: During competition robots will be powered by a teacher set power supply for a fair battle. Building the body of your robot! Before you can begin construction of your robot you will need to create a set of orthographic plans for how your robot will look. Start with ideation sketches and then convert those to real useable blueprints. During your ideation you will want to think about your strategy for pushing your opponent out of the ring. Are you going to bulldoze them? Are you going to flip them over? Is your plan to run in circles waiting for your opponent to make a mistake? Plan Plan Plan! This multitide of wires is what will allow your robot to go both backwards, forwards and make turns. 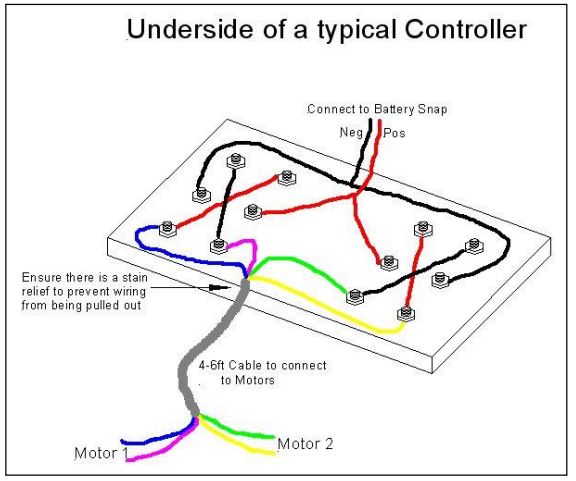 Each motor is controlled independently with 2 'tank sticks' rather than a single wheel and foot pedal like a car. To go forward both motors must go in the same direction forward. 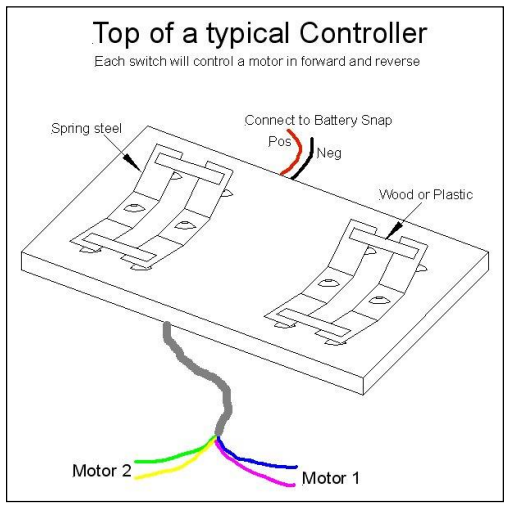 To turn left the left motor must either stop or go in reverse while the right motor must go forward. With some practice you will get really good. If you don't practice you will not get really good. Simple right?